Thanks go out to both of you, Baroness and SnakeAround, you are both right! I called her a snow ghost because that is what I was told she was. Her Coloring is that of a bubblegum. 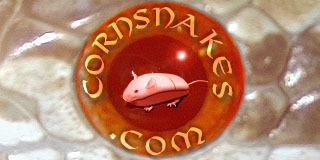 The picture that Baroness's link goes to shows my snake exactly...kinda. She still is not showing any yellowing and still looks like the younger snake, lol. Good living I guess! Thank you both for the correction, she is a Bubblegum Snow Corn. YAY for Pig Great it turned out to be the right decision! now hope for a good shed and another egg out and everything will be back to normal! The video is unavailable... could you please re-upload it? I would love to see and take some notes of what you did on this strong girl! Is their another Video like this up anywhere? I believe my girl is bound its been 24 hours and she still has the same 2 eggs right near the vent. I want to aspirate tomorrow if she still has not passes them.